Harlem Children's Zone, is a non-profit organization for poverty-stricken children and families living in Harlem, providing free support in the form of parenting workshops, a pre-school program, three public charter schools, and child-oriented health programs for thousands of children and families. HCZ is determined to break the cycle of generational poverty for the thousands of children and families it serves. The Harlem Children's Zone has expanded the comprehensive system of programs to nearly 100 blocks of Central Harlem and aims to keep children on track through college and into the job market. The Obama administration announced a Promise Neighborhoods program, which hopes to replicate the success of HCZ in poverty-stricken areas of other US cities. In the summer of 2010, the US Department of Education's Promise Neighborhoods program accepted applications from more than 300 communities for $10 million in federal grants for developing HCZ plans. The HCZ designs, funds, and operates a holistic system of education, social-services and community-building programs in Harlem to counter the negative influences of crime, drugs and poverty and help children complete college and go on to the job market. Providing this "full network of services to an entire neighborhood from birth to college" is a key element of the Obama administration's Promise Neighborhoods program modeled after HCZ. The two fundamental principles of The Zone Project are to help kids as early in their lives as possible and to create a critical mass of adults around them who understand what it takes to help children succeed. A number of large US cities have initiated their own programs styled after HCZ, in advance of any federally funded efforts stemming from the Obama administration's HCZ-inspired anti-poverty initiatives. The HCZ, in partnership with PolicyLink, organized a two-day conference in November 2009 in New York City with the aim of providing guidance to community leaders from around the US for their efforts to launch similar, large-scale projects like HCZ in their areas. In 2008, President Obama, inspired by the Harlem Children’s Zone progress toward breaking the generational cycle of poverty, proposed the creation of Promise Neighborhoods. Obama’s commitment to alleviating poverty is put into place with this initiative which uses HCZ’s cradle to college approach. The initiative seeks to help selected local communities dramatically improve outcomes and opportunities for children and families in defined neighborhoods. The initiative will be diverse in its application, reflecting local needs and context. 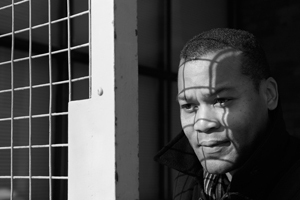 The initiative’s goal follows the HCZ paradigm to improve every aspect of life in impoverished communities, and its purpose states that all children growing up in Promise Neighborhoods have access to effective schools and strong systems of family and community support that will prepare them to attain an excellent education and successfully transition from college to career. This purpose statement directly reflects the mission of HCZ. In collaboration with the national action institute PolicyLink, HCZ assists in providing ongoing guidance for the Obama administration in this initiative. In 2010, the Obama administration allocated $75 million in the federal budget for the program. More than 330 communities across the nation applied for Promise Neighborhood planning grants. Twenty-one communities were awarded one-year grants between $400,000 and $500,000. Planning grantees are given a year to produce a strategic paradigm which will address the issues specific to their community in pursuit of an implementation grant. The grantees submitted their plans that summer, with the implementation phase for Promise Neighborhoods expected to begin in September 2011. What is unique and attention-grabbing about HCZ is that it is designed on the assumption that it takes both effective, achievement-oriented schools and strong social and community services to support the educational achievement of children in poverty. The presumption is that effective schools alone are insufficient. In this the HCZ and Promise Neighborhoods are aligned with the Broader, Bolder Approach to Education, an advocacy position taken by an influential group of proponents of the view that public investment in the communities and society in which children are reared is a necessary condition for education reform. The nation's education policy has typically been crafted around the expectation that schools alone can offset the full impact of low socio-economic status on learning. There is solid evidence that policies aimed directly at education-related social and economic disadvantages can improve school performance and student achievement. The persistent failure of policymakers to act on that evidence -- in tandem with a schools-only approach -- is a major reason why the association between disadvantage and low student achievement remains so strong. From the start, innovation has been pivotal to HCZ’s success -- even before they officially became HCZ. When the organization began in 1970 as the Rheedlen Centers for Children and Families, HCZ was New York City’s first truancy-prevention program. Then, in 1991, Rheedlen was among the first organizations in the City to open a Beacon center, turning PS 194 into the Countee Cullen Community Center after school, on weekends, and during summers, offering high-quality programming and a safe destination to local children and families. Since the organization’s launch, HCZ has developed a series of groundbreaking programs designed to address the needs of children and community. In 2000, they began offering The Baby College parenting workshops. In 2001, they introduced the Harlem Gems pre-school program, and in 2004 they opened their first Promise Academy Charter School. Most recently, in 2012, HCZ began implementing Healthy Harlem, a cross-site initiative to combat obesity and foster healthy habits throughout the Zone. Under the visionary leadership of President and CEO, Geoffrey Canada, and COO, Anne Williams-Isom, HCZ continues to foster innovation and refine programs to ensure that they are at once fulfilling the mission to revitalize Central Harlem and carving a path for communities across this great nation who share this passion with perseverance. HCZ has proven that, with the right set of supports, large numbers of poor children can achieve the American dream of self-sufficiency. That is why birth-through-college pipeline of programs has drawn attention from around the world. HCZ is spearheading a full revitalization of Central Harlem, providing rigorous educational support and indispensable social services for children and families, fueling the local economy, and creating a culture of success. It is known that these children face a future in which they are far less likely thanother children to get a good education or adequate health care -- and are more likely to enterprison. The odds are that they will not, by a long shot, live up to their full potential. But wemust understand that their future is the future of America. Poverty now costs the US about 4% of its gross domestic product annually in lost production, decreased economic output, and increased social expenditures. As today’s poor children enter tomorrow’s workplace, under-educated and ill-prepared, the cost to America’s future competitiveness in the world marketplace is incalculable. That such great numbers of American children live in poverty is, of course, a national disgrace and a cause for shame and indignation. But shame and indignation alone will not improve their lot. We need a strategy to combat poverty effectively and broadly, one thataddresses not only how to help improve the lives of poor children, but also the greatnumber of children that need that help. Over the last ten years, the Harlem Children’s Zone has developed such a strategyin Central Harlem, a New York City neighborhood with a child poverty rate of 39%, morethan double the national average. In most poor neighborhoods, the fabric of the communityis in shreds. Things that middle-class communities take for granted -- working schools,useable playgrounds, decent housing, support from religious institutions, functioning civicorganizations, safe streets -- are all but non-existent. When they do exist, their effectivenessis marginalized by pervasive neighborhood dysfunction. Under these circumstances, the gravitational pull of negative forces is so strong on already fragile families that only a small fraction of the children in these neighborhoods thrive. These exceptional young people are labeled resilient and are justly celebrated for beatingthe odds. But by definition, most children are not exceptional. Most poor children lack themeans to overcome these crushing forces and reach their potential. Instead, they grow uppoorly prepared to find good jobs with decent wages as adults, and many fall into substanceabuse or end up incarcerated. The HCZ Pipeline, or continuum of services, provides children and families with a seamlessseries of free, coordinated, best-practice programs. HCZ focuses on the needs of children atevery developmental age, including specific programs addressing pre-natal care, infants, toddlers, elementary school, middle school, adolescence, and college. Academic excellence is a principal goal of the HCZ Pipeline, but high-quality schools are only one of the means they use to achieve it. Others include nurturing stable families, supportingyouth development, improving health through fitness and nutrition, and cultivating engagedand involved adults and community stakeholders. Children can enter the HCZ Pipeline at any age and they will be supported with high-quality programs. Through their aggressive outreach efforts and multiple entrance points, HCZ wantfamilies to easily access the HCZ Pipeline whenever they are able to do so. Once they have entered, HCZ does not want them to leave. HCZ promises parents that if their children regularly attend their programs, HCZ will help prepare the children for college. HCZ has made good on thatpromise, even when children first enter the HCZ Pipeline in their teens. Today, HCZ hasmore than 370 students in college who participated only in their after-school programs, and not in their charter schools or early childhood programs. However, it has been found that the earlier achild enters and remains in the HCZ Pipeline, the greater the cumulative impact. 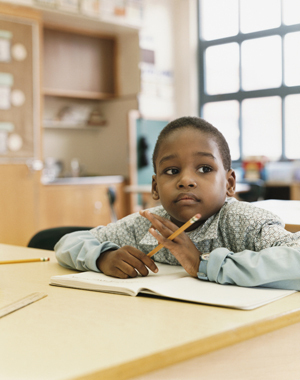 Overall, HCZ seeks to: maximize educational achievements for poor children; ensurethat each of the programs in the pipeline is strong and incorporates best practices; foster strong links across programs to smooth transitions and guarantee that programs arepedagogically continuous; stay community-based and responsive to local communityneeds; and provide relevant data to program staff (so that they can improve services) andto policy-makers and decision-makers so that they can get the best results on theirinvestments. Each of the HCZ programs has been developed using hard evidence of what works for poor children and their parents. All HCZ programs, when looked at individually, are effective -- butthe whole is greater than the sum of its parts. The cumulative effect of multiple programs working together helps children reach their full potential. HCZ Pipeline programs consistently produce outcomes that meet or exceed national, state, and city averages. 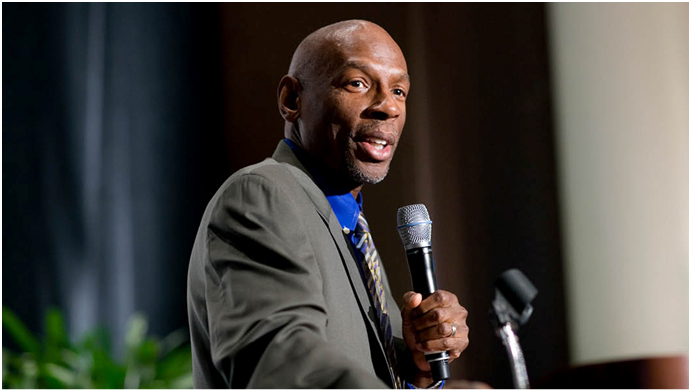 Fortune Magazine named HCZ President and CEO Geoffrey Canada #12 on the list of the World’s 50 Greatest Leaders, declaring that, while he plans to step down as CEO later this year, his vision for Harlem youth and his leadership will no doubt endure. Dissatisfied with the results of most organizations helping the urban poor in the mid-1990s, Canada launched an experiment, an effort to reach all the kids in a 24-block zone of New York City -- he called it the Harlem Children's Zone -- and give them education, social, and medical help starting at birth. The idea was to make success a self-reinforcing phenomenon, as children and their families saw it all around them and recalibrated their expectations. The experiment has worked spectacularly. The zone now covers over 100 blocks and serves more than 12,000 children, with 95% of high school seniors going off to college.